Adapter Standard F65eagle 400. 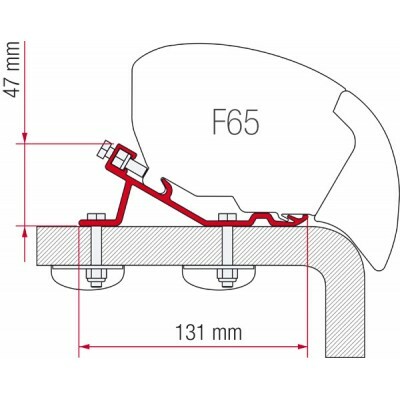 Full length standard bracket can be used on flat roof campers and RVs. Please allow 2-4 weeks for delivery. Ships only by truck freight. This bracket can also be ordered with the Eagle awning, and they can ship together.